A wood sleigh full of Christmas Joy. 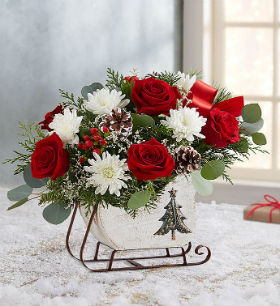 Roses, mum, pine cones, eucalyptus, seasonal greens. 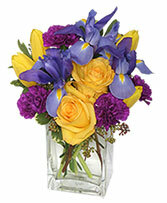 Show your Appreciation with Fashionable Flowers from COFFMAN'S FLOWER STUDIO. It's a Great Way to Honor Someone that Inspires and Motivates You to Be the BEST! 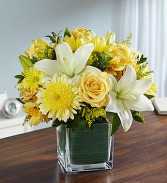 A bright combination of roses, lilies, disbuds, daisies, and alstromeries. 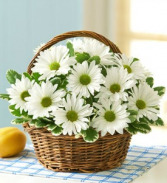 A great combination for home, office, or a surprise.